Although hopes are often low for sequels, the second installments of many comic-book franchises have really been delivering in recent years. These films have added complex social themes (X2: X-men United), been co-written by a Pulitzer-winning author ( Spiderman 2), and generated Oscar buzz (The Dark Knight). Add to this list of sophomore successes Hellboy II: the Golden Army, a visually gorgeous and emotionally engaging sequel to 2004’s Hellboy. The Hellboy series is an adaptation of Mike Mignola’s comic series about a demon who is adopted by Americans and grows up to work for a secret government agency that fights paranormal threats. Hellboy’s on-screen character is quirky: emotionally adolescent and sarcastic, with a soft spot for kittens and a Right Hand of Doom. The film starts with a young Hellboy being told a childhood story about the Golden Army, an indestructible mechanical force created by goblins for the elves during a war with humans. The decimation of the humans was so terrible that the King of the Elves became remorseful and made a truce, retiring the Golden Army to dormancy and dividing the crown that controlled the army. The story then resumes in the present, with the elf king’s son, Prince Nuada, seeking to reunite the pieces of the crown to raise the Golden Army and destroy humanity for their irresponsible destruction of the earth and their selfishness. As the Bureau for Paranormal Research and Defense (BPRD) pursues Nuada, various character plots are developed. Hellboy has relationship troubles with his pyrokinetic girlfriend (Liz Sherman) over his immaturity. Cerebral BPRD member Abe Sapien becomes a fool for love over Nuada’s sister, Princess Nuala. And tensions develop over the addition of an autocratic new team leader, ectoplasmic Johann Krauss. At the climax, the team and Hellboy confront Prince Nuada over control of the army and the fate of humankind. 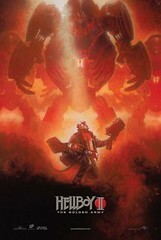 Hellboy II is an exciting and enjoyable film. It starts off grabbing your attention, having an advantage over the first film of not needing to exposit Hellboy’s remarkably silly origin story (Hellboy was summoned to Earth by Rasputin for the Nazis). Hellboy II is not perfect; there’s a slightly out-of-place (though funny) bromantic scene with Hellboy and Abe singing Barry Manilow, and the film seems to border on preachiness about mankind’s impact on the environment (though del Toro claims that his intention was not to comment on environmentalism). But these are all just minor missteps. The film is dense with visuals, action, and character development. The scenes are stunning, as we have come to expect from director Guillermo del Toro. Scenes I especially enjoyed re-watching on the DVD included the animated opening sequence in which the story of the Golden Army is told as well as a later scene in which Hellboy meets the Angel of Death. The film also has elaborate action sequences that are stepped up a notch from the first movie. In particular, Prince Nuada’s elegant swordsmanship stands out among the movie’s action visuals. The real strength of this film is the characters’ personal story arcs. Each of the main characters must make a major decision that will change his or her future. Some are fairly standard (e.g., uptight Kraus must learn to loosen up) while others are surprisingly moving for an action film. It is touching and amusing to see Abe Sapien lose all composure as he is smitten with Princess Nuala and has no idea how to deal with his feelings for her. Even the villain, Prince Nuada, is a sympathetic and tragic character. The audience feels the pain of his outrage over the destruction of the earth and irresponsibility of humankind, even as we hope for the thwarting of his attempt to destroy humanity. 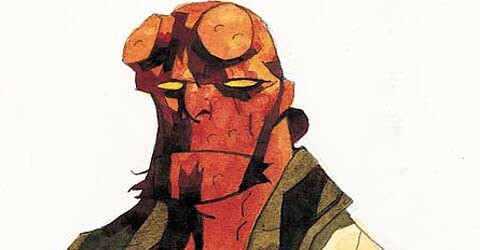 The central character story, however, is Hellboy’s decision as to whether or not he will, in essence, grow up. We learn early in the film that Liz is pregnant. She does not tell Hellboy, instead pressing him first for evidence that he will become a responsible man who would make a good father and long-term partner. Late in the film, the interaction of the couple is moving, particularly when Hellboy realizes that he is taking on the mantle of his own father. Although the audience might be inclined to compare Hellboy II to del Toro’s previous commercial action films (Mimic, Blade II), the development of Hellboy’s character in this film is emotionally more a sequel to his gothic fantasy-drama films. In the audio commentary, del Toro says (several times) that this is among the favorites of his own movies, along with Pan’s Labyrinth and The Devil’s Backbone. Thematically, I find Hellboy II similar to Pan’s Labyrinth, but also Cronos. 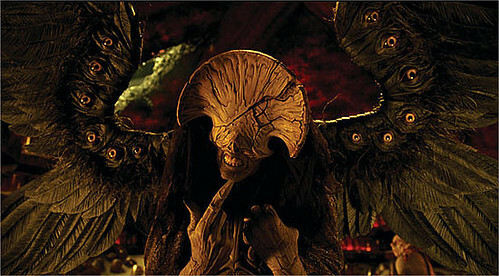 In these earlier films, central themes address the bond between the child and adult, the mother in Pan’s Labyrinth and the grandfather in Cronos. Even when the adult cannot protect the child, the unconditional love between the two nurtures and inspires courage in the child amidst chaos and fear. In the audio commentary of Cronos, del Toro reports modeling the child-grandfather relationship on his own relationship with his grandmother. A personal tenderness is evident in both films. In Hellboy II, we see the next step: moving past one’s own childhood and immaturity to take on the mantle of nurturer and protector. This movie, as much of popular culture, falls short of God’s (and thus the Christian’s) ideal, particularly establishing family within the bond of marriage (Genesis 2:24). However, the struggles presented are poignant from the perspective of living in a fallen world. 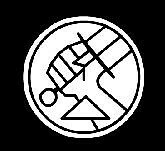 Like Hellboy, will we remain in a protracted spiritual and relational adolescence or take on the struggles our own Heavenly Father has given to us (1 Corinthians 13:11)? How deeply do we love others, not just those closest to us, and what are we willing to give for this love (John 15:13)? In this sense, Hellboy II is more than just an action movie, it is a film about people and the deep emotions that create connectedness. On the other hand, the romantic relationships tend toward idolatry as more than one character is willing to sacrifice the entire world to save a loved one. Del Toro intends these decisions to represent flawed, “human” choices. Indeed, as we love deeply, we must be vigilant for the risk that we will worship the gift (the beloved) and not the giver (our Heavenly Father) (e.g., Matthew 10:37). The film also touches upon a transcendent theme of lost contact with things that are spiritual and beautiful. Connecting with personal love is only part of this issue. Hellboy II shows a re-enchanted world; that is, a mundane modern world in which the spiritual and magical have reemerged. We see these trends in our own society, through people who state they are “spiritual” but not religious, increased interest in the occult, and even angel worship. Our world is hungry for the supernatural and for eternal, magical beauty. Del Toro states in the commentary that he intended for the audience to contemplate what humans are sacrificing- that is, the spiritual, beautiful, and natural things of the world- to support our mundane, banal daily routines. As Christians, we reject occult spirituality (Acts 19:19-20), but should definitely consider to what extent our daily routines supplant our connection with the beauty of our Heavenly Father and our role as good stewards of His creation. If a comic-book movie can summon beauty and meaning, how much more can the word of God and the love of Christ change our hearts, if we lift our eyes from the mundane and seek Him? The movie scientist strikes again! I wonder if this thematic progression was planned, or a natural growth as he went from grandson and son to father?